Stay 3 consecutive nights and get 10% discount. Contact us for further details. 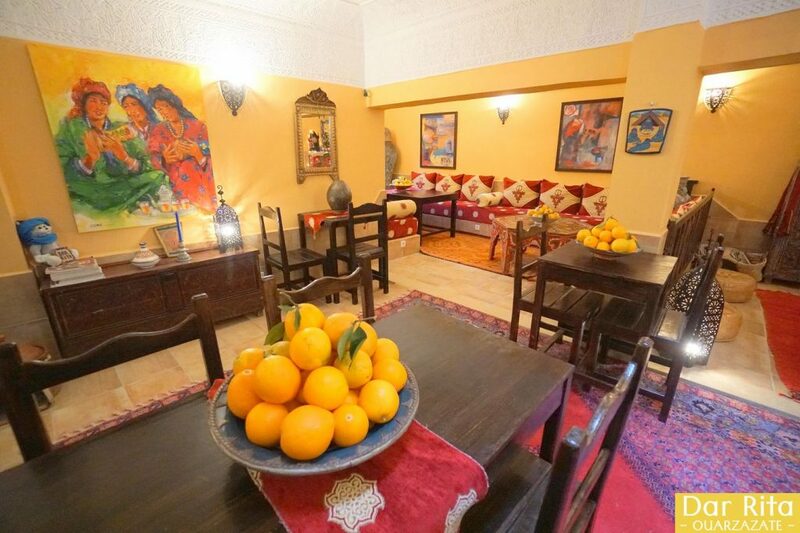 Dar Rita is located in the old part of Tassoumaat district of Ouarzazate city. Dar Rita offers 7 rooms and 1 two-room suite with great prices. Reserve your room directly with us through our website. 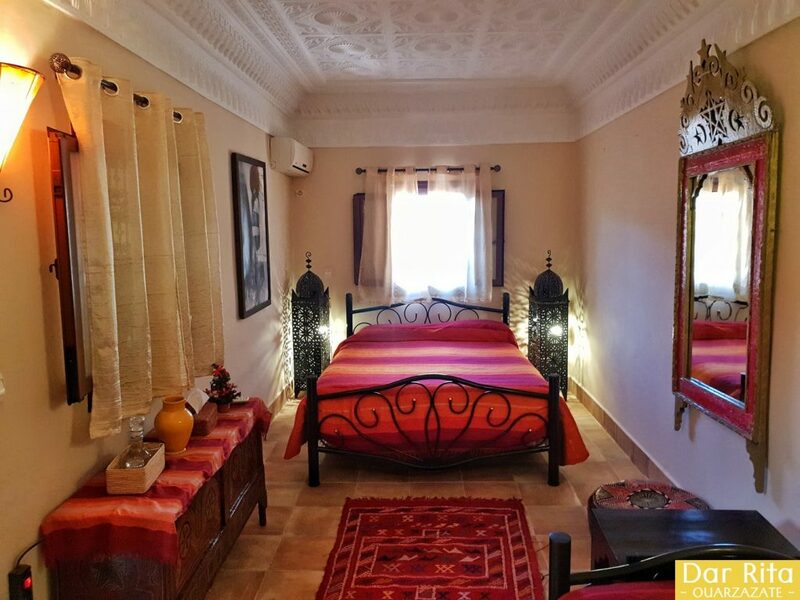 Dar Rita – Hotel Ouarzazate is a seven room + two bedroom apartment boutique guest house in south Morocco. 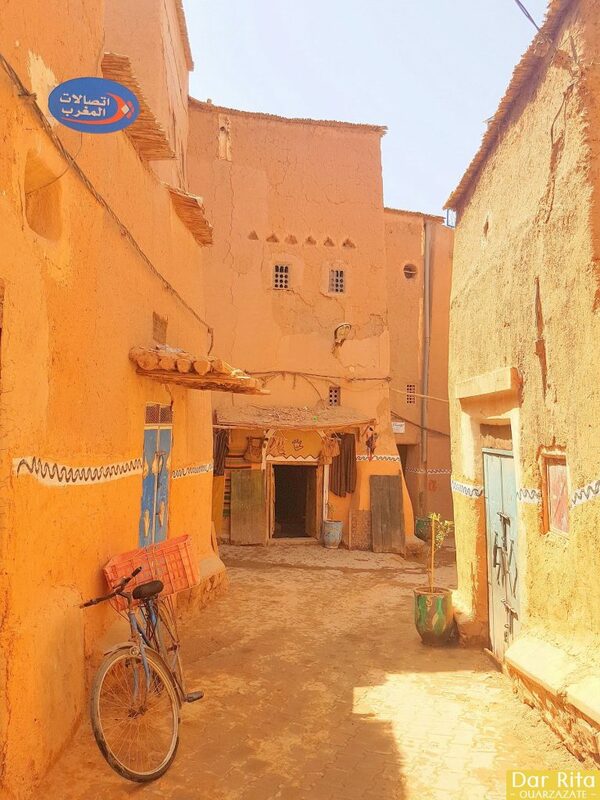 Dar Rita welcomes you to the amazing region of the 1000 Kasbahs, Oases and breathtaking landscapes. Where comfort meets friendly hosts and perfect ambiance you are invited to step inside an amazing residence decorated within a clean yet Moroccan ethnic-chic style. Stay with us for a couple of days and enjoy the numerous sightseeing places Ouarzazate has to offer. Please check out our special group prices and seasonal promotions. 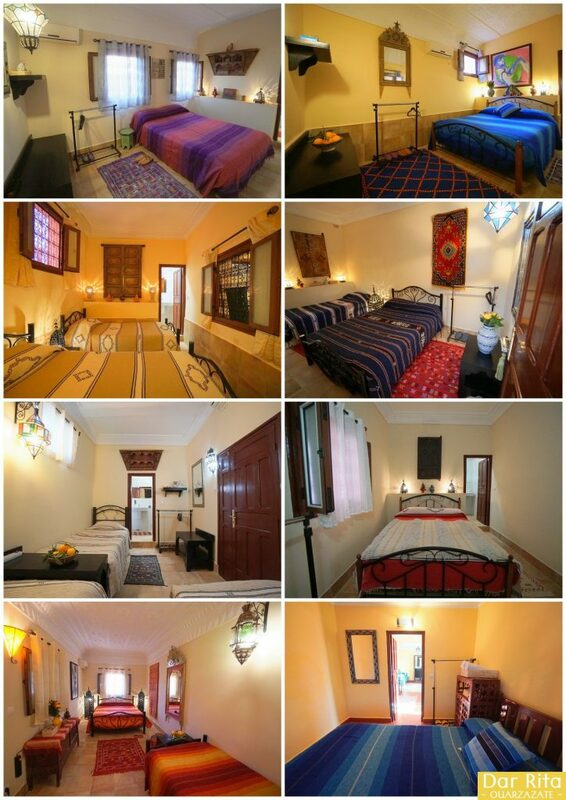 Dar Rita – Hotel Ouarzazate offers you fully equipped rooms, private bathroom, air-conditioner, and free Internet WIFI. Try our half-board deals and enjoy this amazing country. All rooms of Dar Rita are beautifully decorated to make your stay unforgettable. 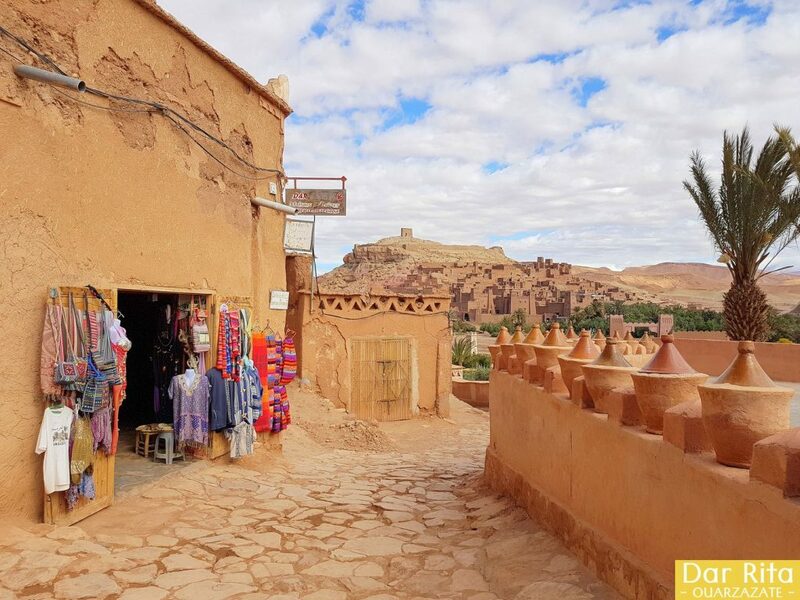 Ouarzazate, 200km south of Marrakesh is primarily known as the “Moroccan Hollywood” but offers several different interesting natural and cultural sites that will make you busy for a couple of days up to 1 week, relaxing and profiting from a gorgeous region. On the gates of Sahara Desert, Ouarzazate’s fantastic surrounding landscape of the snowed Atlas Mountains makes the perfect starting point to take a chance to visit the UNESCO Ksar of Ait Benhaddou, Tiffoultoute Kasbah, Fint Oasis, Taourirt Kasbah, Atlas Cinema Studios, Tassoumaat, Skoura Oasis, Stork’s Kasbah, Dades Valley, el Mansour Eddahbi lake, Rose Valley and Agdz and its blooming oasis and palm groves. What to see in Ouarzazate?